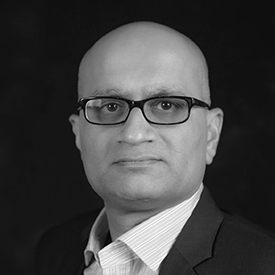 Aditya Khurjekar is Founder & CEO at Let’s Talk Payments (LTP), the trusted source for global FinTech insights. LTP has been focused on curated independent content and data-driven research in FinTech since 2013. Its daily outreach has a global audience of more than 100K innovators, making it the #1 global destination for the FinTech industry. LTP also powers the MEDICI knowledge network, a comprehensive resource for innovation & investment in FinTech, featuring proprietary research and 10,000+ company profiles across 50+ FinTech sectors, along with a trusted platform for ecosystem engagement. Previously, Aditya was executive vice president at nD bancgroup, a bank holding company that enabled mobile money experiences for consumer brands. In 2012, Aditya co-founded the breakout conference on emerging payments and financial services, Money2020, which now attracts 13,000+ attendees every year; the business was acquired by i2i Events Group in 2014. Until 2011, Aditya was the new business development executive responsible for all mobile payments and commerce initiatives at Verizon Wireless, where he managed the company’s investments and partnerships in mobile wallet, remote/online checkout, digital offers, remittances, and other payments & commerce projects. Since 2008, as a founding member, he had business ownership for Softcard, the mobile commerce joint venture between AT&T, T-Mobile & Verizon. Softcard was acquired by Google in 2015. Earlier, he built a Verizon-wide portfolio management practice and also led the wireless device strategy function working with all handset manufacturers and technology providers. Prior to joining Verizon in 2004, Aditya held a number of leadership positions at CSG Systems, Lucent Technologies and Bell Laboratories. Aditya holds an MBA in Finance & Management from New York University and an MS in Electrical Engineering. He lives in Charlotte, NC and works with teams all over the world.